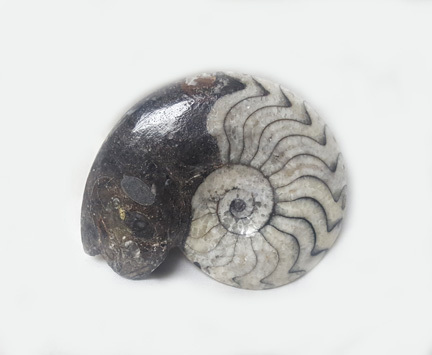 Goniatites are the ancient ancestor to the modern day Nautilus. A Marine Cephalopod approx. 350 million years old. These fossils are found in the Atlas Mountains of Morocco. Comes in 3 sizes and are freestanding. All fossils come with an information card for each fossil.